Woman from the Andes Mountain We met this woman on our hike in the Andes Mountains in Peru. We did the Salcantay Route, a five days hike on remote paths leading us through an amazing variety of landscapes and habitats. We had to cross a high pass (16,240 ft.) below the spectacular glaciers of the Humantay (19,414ft) and Salcantay (20,572ft.) Towards the end of our hike we camped at Winaypoko (5904ft). And that is where we met her. 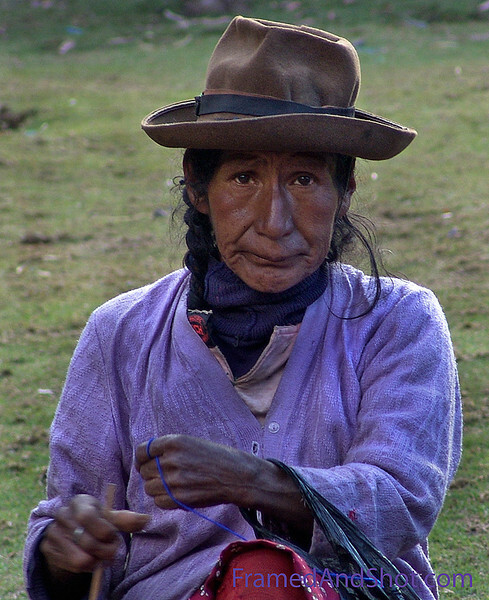 Unfortunately we were not able to speak with her, she speak only Quechua, the native language that was widely spoken across the Central Andes long before the time of the Incas. But with a serious nod she allowed us to take her portrait. .